The International Federation for Spina Bifida and Hydrocephalus (IF) was founded by people with Spina Bifida and Hydrocephalus (SBH) and their families in 1979, and has continued to grow and flourish as the international umbrella organisation for those living with SBH and their families. Currently, IF’s membership consists of 60 SBH associations in Africa, Australia, the Americas, Asia and Europe. At IF, we build on the experience of our member organisations as we listen to the needs of organisations at grassroots level to channel these to policy and decision makers at international level. To tackle the issue of prevention, in 2016, IF launched its Global Prevention Initiative (IFGPI) with the aim of tackling the primary prevention of neural tube defects (NTDs) and hydrocephalus as a united global community, uniting all relevant organisations, NGOs, Governments, policy makers, health services, educators, health professionals and individuals around the world to maximize the risk reduction of NTDs and hydrocephalus. One of the most valuable resources of the IFGPI is the leaflet “Folic Acid – What every woman needs to know before becoming pregnant”. We aim to see the leaflet translated into as many languages as possible so that this very important information is available to as many women as possible around the world. IF is also a founding partner of the PUSH! Global Alliance, a platform for organisations to advance the greatest benefit to those affected by spina bifida and hydrocephalus. PUSH! has developed Global Report Cards for Spina Bifida and Hydrocephalus Prevention and Care. The report cards provide country and regional snapshots of indicators grouped by World Health Organization (WHO) regions. 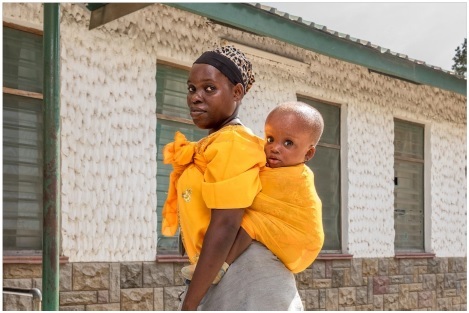 These snapshots provide meaningful, tangible information in areas deemed to be “actionable.” Our hope is that the Global Report Cards for Spina Bifida and Hydrocephalus Prevention and Care will serve as a platform for countries and organisations to move to action, further efforts and accelerate change.